These are mostly used by the publishing house, postscript file format that allows the user to comfortably print images and texts on the same page. Though many may say that this format is used less these days, no one can question the importance of this file format when it comes to printing curved images, text, and graphics. Since now we are using a lot of PDF, it is important to have software that can do this conversion job to postscript format. 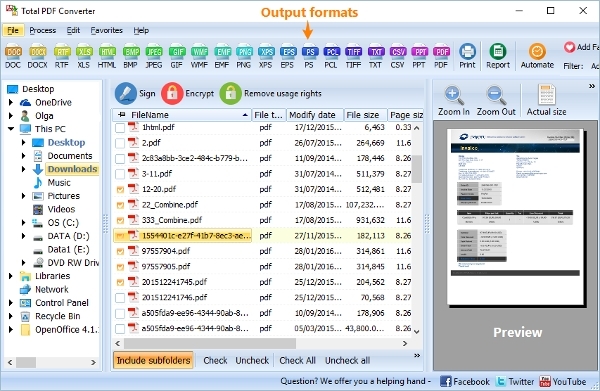 Have a look at some of the best software to convert PDF to Postscript. 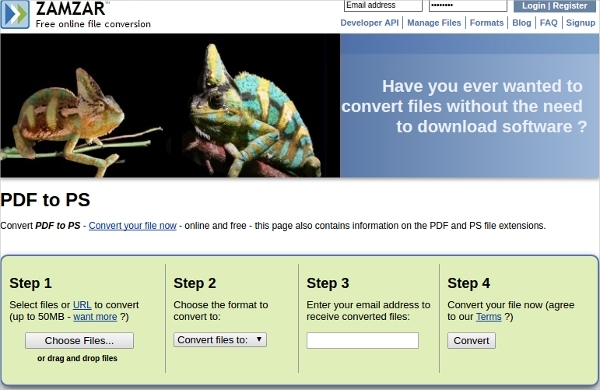 Zamzar is an online platform for converting PDF files to various formats. The interface is very user friendly and the job can be done in just four steps, that too for absolutely free. This online platform can also convert postscript file to pdf. This is again an online platform that performs your PDF to postscript conversion for absolutely free. The user simply needs to upload the file and with one click the result postscript file can be saved on the user’s computer. The interface is very simple and lucid. In addition, the platform has the provision for DPI adjustment. This software comes both in online platform as well as in download package. If you are not a regular user of postscript file, you can simply use the online platform and convert PDF to postscript. The paper size and the DPI can be adjusted. However, if you are a regular user, the full version package comes for $49.90 only. Your job should not suffer because of limitation of the tools on your operating system. Since, Mac and Android are largely used by everyone; there is software that performs these tasks on these operating systems. So, if you are one of the users of these OS, you may like to see these software! This is an online cloud converter that completes all the conversion needs in jiffy. This works perfectly on all operating system and is very user friendly. 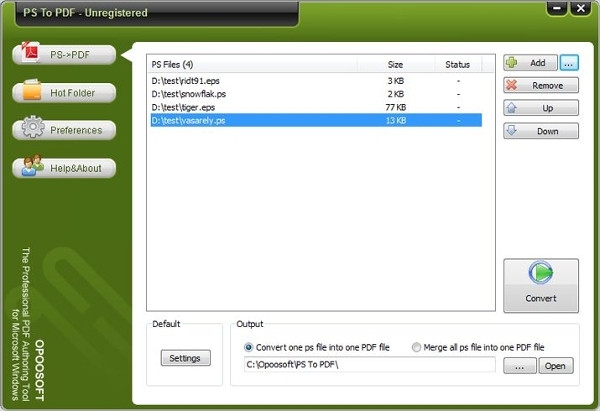 Not only this, you can convert postscript to PDF online for free. Since this is a cloud converter; you can use it anywhere, anytime! This is amazing software that converts PDF files to many other formats including postscript format. There is a trial version that can be downloaded for absolutely free. The full version of this software can be downloaded for at a discounted rate of $45.90 only. This software is available for Mac also. This is software with a wide range of application. It can convert PDF to postscript and vice-versa. The licensed version of the software can be downloaded from the website for absolutely free. This software can also convert postscript to pdf. The most popular software in this category, this is the software that convert postscript and encapsulated postscript to PDF. The trial version of this software can be downloaded for free. The full version requires the user to shell out $39. What is Convert PDF to PostScript? The file format for our texts, graphics etc; that we use more commonly these days is undoubtedly PDF. Small in size and attractive look, makes the PDF format. 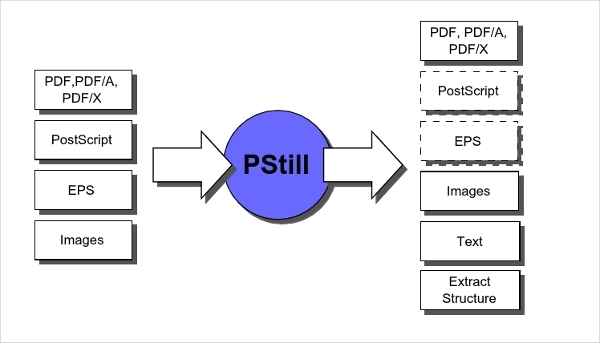 But there is a file format called postscript that is very useful when it comes to printing images and texts together. It is a layout language that very nicely manages the display and page layout of the documents on any operating system or device you can name. This helps a great deal in printing and publishing. Since, we are a great customer of PDF files, there should be software that can effectively perform this conversion task. After all, everyone loves to see neat, clear and elaborated files. The software compiled here are some of the best decided by the users. The trial version is available for all the software. Hence, download these software now to give a nice look to your published files.